Key Texas employment Laws, and who must comply. Access the full Texas Employment Law Manual (over 40 state-specific reference resources) and Texas Employee Handbook templates below, as well as view state and municipal deadlines, additional state-specific resources and links to key municipal coverage. Updated to reflect a temporary block of the effective date of the forthcoming law. The Texas Court of Appeals, Third District, found the Austin, Texas, paid sick leave ordinance is unconstitutional because it is preempted by the Texas Minimum Wage Act. The appellate court issued a temporary injunction blocking the ordinance and returned the case to a lower court for further proceedings. 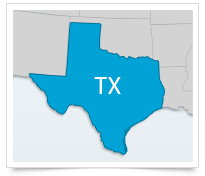 A round-up of the comprehensive state coverage XpertHR offers to help Texas employers ensure they are compliant with state HR and employment laws.